protect their romantic relationships, prompting them to flash their pricey handbag whenever they feel threatened by another woman. The more limited and unique the item is, the more costly it retails in the market. This is truer than ever for designer handbags, with luxury brands manufacturing only one to three items with a unique design. This results in highly priced handbags that only the top 1% can afford, with the item being decorated with diamonds and other kinds of jewelries, then later auctioned off for a higher price point. Despite having a firm understanding of the psychology behind purchasing expensive handbags, it can sound outrageous to justify owning an item that costs more than anything in your material possessions, including your house.  However, most experts believe owning the rarest, well-designed and durable bags is a worthwhile investment, with resale prices astronomically rising after several years. With this, it’s worth looking at the most expensive handbags of 2019. 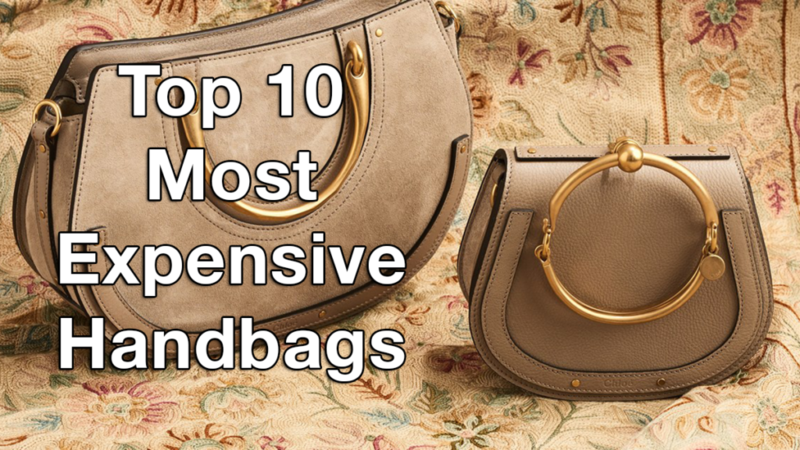 A few years ago, we created a list of the priciest handbags in existence and the ranking has now quickly changed. Once lesser-priced luxury items have now increased in value due to rarity and uniqueness in design. This is in addition to each top designers trying to outdo each other in a bid to dominate the market. The story behind Hermes Birkin bags is quite simple, with English actress Jane Birkin’s belongings crashing down after her straw bag failed her. The chief executive of Hermes, Jean-Louis Dumas, was with Birkin by chance during the incident, and he was inspired to create unique, fashionable, and sturdy handbags while having a convenient design to help solve women’s struggles. Since then, Hermes Birkins have become one of the most established and recognizable luxury brands sought after by millions of people. This blue crocodile Hermes Birkin handbag managed to crack our top 10 list, fetching a whopping £125,000 during the first-ever Christie’s dedicated handbag sale in Mayfair, London. 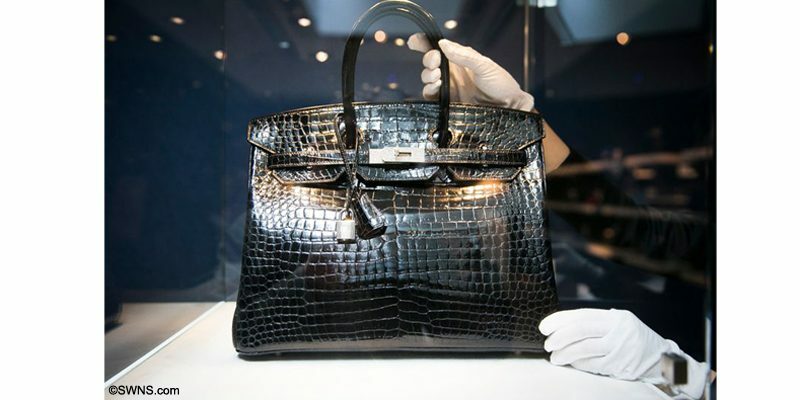 With this, it managed to smash European records for priciest handbag sold, Thousands of online bidders tried to get their hands on this Birkin handbag with white gold and 18-karat diamonds, with an anonymous buyer taking this prized possession. The official name of the handbag, Hermes Exceptional Collection Shiny Rouge H Porosus Crocodile 30 cm Birkin Bag with 18K White Gold & Diamond Hardware, fully explains why this handbag remains on the list of priciest handbags mankind has ever seen. This red-colored Birkin Bag broke records several years ago for being the most expensive handbag sold at public auction, with an anonymous collector winning the bidding at Heritage Auctions in Dallas, Texas. Hermes Birkin bags seem to be in a competition of its own, as it manages to beat its own records for priciest handbags sold. This Fuchsia-colored Hermes Birkin bag will sparkle on your eyes on first sight with its 18-carat white gold and diamonds. This shiny bag fetched a price of $1.72 million Hong Kong dollars during an auction of Christie’s in Hong Kong back in 2015. Chanel’s Diamond Forever handbag looks simple and elegant, with its iconic Chanel logos standing out. The Diamond Forever is made out of fine crocodile leather bejeweled with 334 diamonds that weighs 3.56 carats in white gold. The strap made out of an 18-karat gold chain can be detached. Materials aside, rarity is another factor for its high price, as only 13 of these items were created. Himalaya Birkin bags are expensive for good reason. Not only is it made from Niloticus crocodiles, but it takes tons of hours for the dyeing process alone to lighten the hue of the material. The subtler the coloration, the more difficult it is to craft the bag.The Niloticus Crocodile Himalaya Birkin is designed to evoke images of the majestic Himalayan mountains, which has rich browns from its mountains and white as cloud snow-capped tops. Sprinkle in a few diamonds and you now have one of the most expensive bags the world has ever seen. The most recent Niloticus Crocodile Himalaya Brikin came with over 240 diamonds encrusted on its 18-karat gold shell. It was sold during an auction at Christies in Hong Kong, beating 2016’s $300,108-priced Himalaya Niloticus Crocodile Diamond Birkin. The fifth most expensive handbag is a fan-favorite among celebrities parading on the red carpet. The Lana Marks’ Cleopatra Clutch costs from $100,000 to $400,000. The high price point can be attributed to its rarity, with each year only seeing one new Cleopatra Clutch, and each of them varies in color and design. To date, Chinese actress and signer Li Bingbing owns the most expensive Cleopatra Clutch, with Lana Marks and stylists specially designing the American alligator leather, which is encrusted with 1,600 white diamonds that amount to a 40 karats, to match her gown. Pink diamonds and pink gold were also used to write down Li Bingbing’s name. True to its name, the Hermes Chaine d’ Ancre Bag carries a intricate, prison-like design due to its anchor-shaped chain links which are encrusted with 1,160 pieces of diamonds. The high price can be attributed not only for its expensive materials, but also for being a Pierre Hardy-designed collectible as only three of these were created. With this Birkin bag on hand, you’ll have a handbag with detachable parts that can be worn to accessorize yourself. Designed by Japanese designer Ginza Tanaka, this Hermes Birkin handbag was fashioned from platinum and carries 2,000 diamonds on its outer shell and features a pear-shaped 8-karat stone centerpiece that can be detached to wear as a brooch. If you forgot to bring a bracelet or necklace, simply detach the diamond sling from this Birkin bag and impress everyone with your exquisite jewelries. If you have this item, you no longer need to wear a bracelet to your parties. Crafted to resemble crocodile leather, this stunningly small and luxurious bag made out of solid rose gold was designed in collaboration by Hermes and jeweler Pierce Hardy. This handbag, which comes dotted with 1,160 diamonds, took two years to create and only 12 with three variants were ever created. Think twice if you’re planning to store items in this bag, as it’s only big enough to store a few dollars and credit cards. Mouawad 1001 Nights Diamond Purse is still the priciest handbag in the whole world, with its record remaining untouched in the Guiness Books of World Records since 2011. This is to be expected from the Emirati luxury goods company, which holds five Guinness World Records for some of the most expensive items in the world. This includes the Mouawad 1001 Nights Diamond Purse, a handcrafted 18-karat gold heart-shaped handbag, created by artisans who dedicated 8,800 hours-worth of labor of love. It comes adorned with a total of 4,517 diamonds, comprised of 105 yellow diamonds, 56 pink diamonds, and 4,356 colorless diamonds. This one-off luxury item was put for sale last year at Christie’s auction preview in Hong Kong. Tell us in the comments why you’d buy any of these if you can. If I’m going glitzy on my handbag I’ll probably avoid Hermes and LV, two of the most counterfeited brands. Talk about too many cooks spoiling the broth… that last piece maybe the most expensive but it’s ugly. But the Hermes Birkin is definitely elegant. I bet you can get that in Shanghai for a couple of dollars. These purses are for people who aren’t known for who they are,it is for what they have. If I had this kind of $$$ there are so many worthwhile things I could spend it on. Seriously, There are people in countries all over the world who work hard with all their might, every day struggling to provide for their families most basic needs. And those that have been blessed with success spend their money on these bags? Used for a few hours or days before being tossed aside for the next years “style”. We should actually learned how to help eachother and spend money on useful things to better the world rather than wasting it on things just to get attention and recognition of others. The world would be a much better place if people could figure out that what really matters in this life are not objects but PEOPLE. I’m with you though. Those bags or purses IS really expensive. People spent their money to a nonsense things,just because they are multimillionaire and etc they can just throw their money, it’s idiotic thing to do. There are many children, family or people spending their lives finding money, for their growling stomach and everyday needs while the other peoples spend it worthless. They don’t use their brain though. I understand what your saying, that some people work their whole life to just put food on the table for their families. How do we know that the people buying these bags didn’t do the same? We criticize wealthy people like they somehow don’t deserve it or that they stole their wealth from others. We don’t know what risks they took, how many hours they worked or sacrifices they made to get where they are. I could not afford a purse like that but I am considered wealthy by American standards and I worked my but off getting there, put myself through college while waiting tables and sometimes two jobs! It took me 7 years to pay back my student loans and made many sacrifices! Please don’t be quick to judge the “wealthy”. 5% of people in America pay 95% of the Federal Taxes! CommonSense, how do you know that the people that MADE these bags are not also working hard with all their might and struggling to provide for their families? Money doesn’t just disappear when someone buys one of the bags – it goes to other people. Well it’s their money they can spend on what they want. They also worked hard for it. yes I agree with the comments above,but you can’t blame people for wanting to treat them selves or be proud that they have money!some of those people that are multimulti millionaires have worked really hard to earn that kind of money and I don’t blame them for maybe wanting to show it of or maybe they just want a lv or birkin bag.however I also agree with the comments above with this “you can spend money on wiser things” and to “help other people out” but at the end of the day you can’t decide what people choose to spend their money on it’s their money so therefore it’s there choice how they spend it!and I bet if you had that sort of money you would go and treat yourself to a nice birkin bag once a week. I agree completely with your statement, people should be able to do what they want with their hard earned money.Yes, charitable acts are always favored, but at the end of the day everyone should be able to do what they want within moderation. i own 2 of those purses and im not even happy with them. the last one isnt big enough to hold the keys to my Buggati Veron. good thing my husband bought me more than one :* love you Gerald. Some people they work so hard and helped so many ways. If that’s the only way to make themselves happy, why not? It’s their money they can spend it whatever they want. I wonder what the the value of the bags themselves would be without all the diamonds. The prices seem to rise in tandem with the number of diamonds, so it feels like they are selling diamonds with bags attatched to them. Obviously, the bags are valuable and great, but you could put diamonds on anything and say it’s worth a fortune when you’re really just selling a currency attatched to an object. Anyone that can buy any one of these bags is my type!! If I had it I probably would purchase one. You know they have Berkin bag parties?! Where women swap bags and or sell! I need to be a worker or something there! Pick me pick me! !